I hated my bathroom! I’ve hated it since we moved in... It has I wish I was white walls... and bright blue countertop. In a moment of inspiration I decided today is the day... little Charlie was down for a nap. 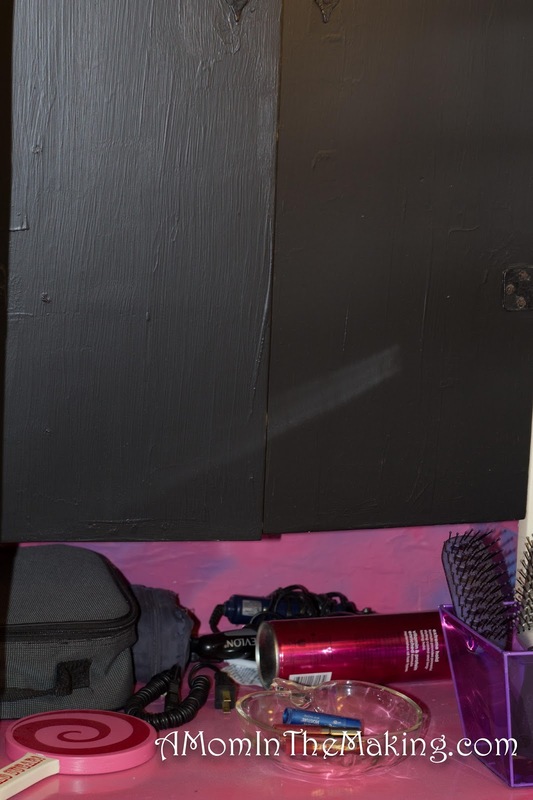 My bathroom was going to receive a DIY makeover! 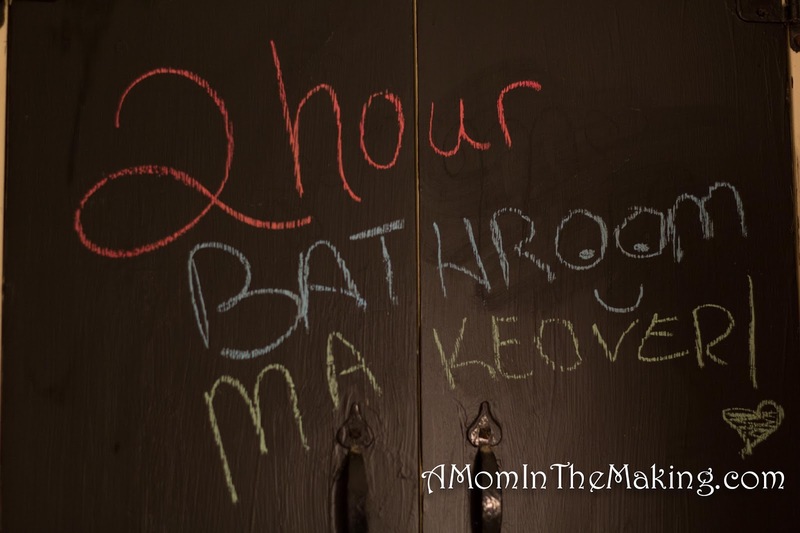 I could not be happier... in about two hours I transformed my bathroom from ugly drudgery to a cute chalkboard wall to write fun messages and a counter that’s my favorite color. 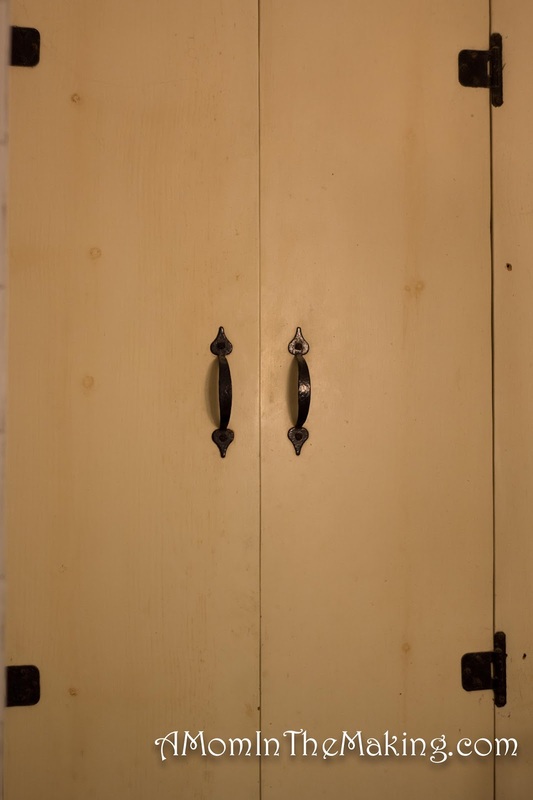 I’ve decided that two coats is best for chalkboard paint, it helps it cover better. 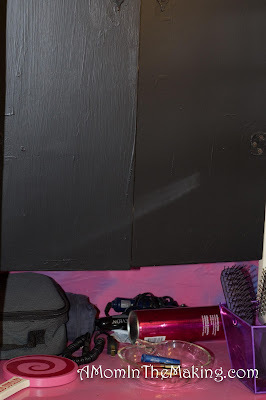 Then I spray painted the bottom shelf. Not a great idea to try to spray paint, under a closet, inside the house... I felt like my throat was burning for a few days. 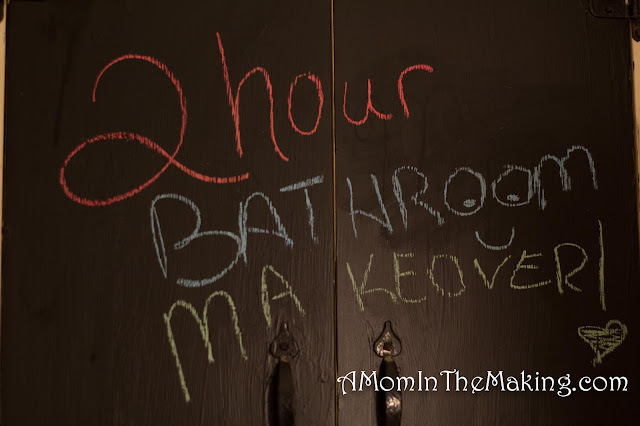 My bathroom still isn’t perfect... the floor needs to be replaced, the widow is old with no sill... but when I walk in I see my fun chalkboard and bright pink counter. Instead of wishing for a new house, I have a small moment of joy each time I see it. And it was free... I used paint from my basement and it only took about two hours! Being on a tight budget I find that we don’t often put money into making our house cute... However I finally realized even if we can’t redo everything I can still do small things to transform the place. What is something simple that could help transform your house? Very cool! I also like giving my home spaces little free makeovers! They're the best in my book :) Really allows you to be creative! BRAVO!!! 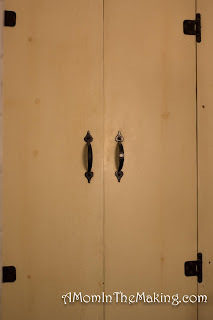 I despise my master bathroom too, but a few years ago I took the time to add trim to the cupboards and do a faux finish on them, it has gotten me this far. We are finally getting ready to do the big remodel. YAY!! I'm glad you did it!